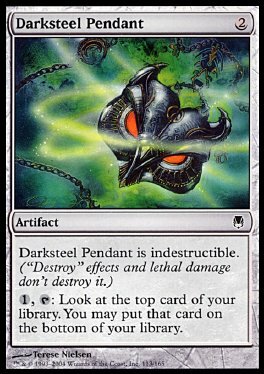 Darksteel Pendant is indestructible. ('Destroy' effects and lethal damage don't destroy it.) 1, T Look at the top card of your library. You may put that card on the bottom of your library.